We often mistake our definitions within the Financial World. 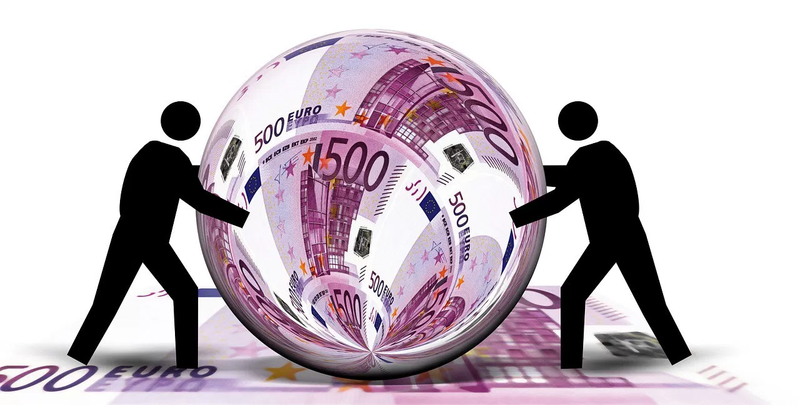 Cash Transactions are often referred to as a person to person (or p2p) transaction. This, in a true sense is not the case. We acknowledge that a payment with a credit card or debit card is a 3rd party transaction because it involves a banking service for the completion of the transaction. If we acknowledge the credit card transaction as a 3rd party transaction, then why do we not see a cash transaction as a 3rd party transaction? Let’s say I went to a fruit market and bought $10 worth of fruit paying for it with a $10 bill. I receive fruit which the farmer produced. I pay with a $10 bill which I DID NOT produce! (If I did, “they” call this forgery!) The $10 bill represent the 3rd party namely the “Fed” that allowed me to conduct this transaction (at a cost). I’m going to skip the part where I would talk about bartering as the main evidence of P2P TRANSACTIONS. We are going to move on to digital transactions. This is where the “rubber meets the road”. DIGITAL TRANSACTION is the “new money” and with the change comes a difficult road. No one wants to embrace change. The “status quo” is what has worked for our fathers and their fathers and grandfarthers before them, RIGHT! WRONG! It never worked! It has been a way for a few people to control the masses. It has created separations and war on scales that would never have been possible. We have moved into the World of Digital Transactions long ago but now, it is time to embrace a P2P concept of financial transactions. This means we need to embrace the World of Digital Currency. At the peak of these digital currencies is a digital asset called BITCOIN. Bitcoin is not an asset that is a product of the banking system. It is a digital asset that is stored on the Internet. When making a transaction with Bitcoin (or other digital assets), your transaction is from you directly to another person. This is accomplished by sending a transaction from one person’s online digital wallet to another person’s. There are a number of digital currencies you will want to keep an eye on. If you want to learn more, join us at COMPUMATRIX now while you are NOT the last “in the know”.